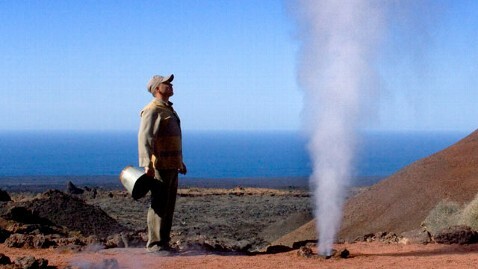 Geothermal energy has been used for thousands of years in some countries for cooking and heating. It is simply power derived from the Earth's internal heat. This thermal energy is contained in the rock and fluids beneath Earth's crust. It can be found from shallow ground to several miles below the surface, and even farther down to the extremely hot molten rock called magma. There are various types of utilization of geothermal energy. 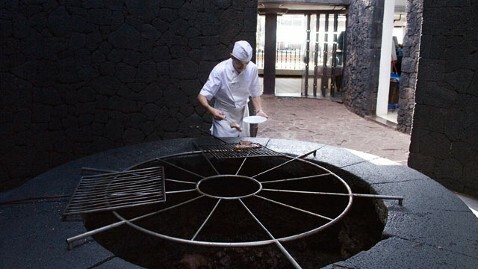 Power generation, heating, swimming, spas, food-dehydration and more … but one thing that never comes to mind is using lava for a BBQ, at El Diablo restaurant in Lanzarote which uses the 450 - 500 degrees Celsius of geothermal heat to cook the meat and fish! 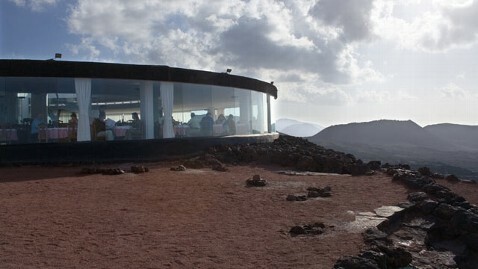 Set against the volcanic backdrop of the Timanfaya National Park in the Canary Islands, the restaurant relies on the dormant volcano producing bursts of heat or hot vapors, which rise through a hole in the ground to brown the food placed over it on a cast iron grill. Fortunately, the volcano does not spew lava because it's dormant but the bursts of heat or hot vapor are enough to cook delectable dishes that have many tourists flocking to the restaurant in droves. Open from midday until 3:30 p.m., the restaurant is "fully booked every day," Padron told ABC News. 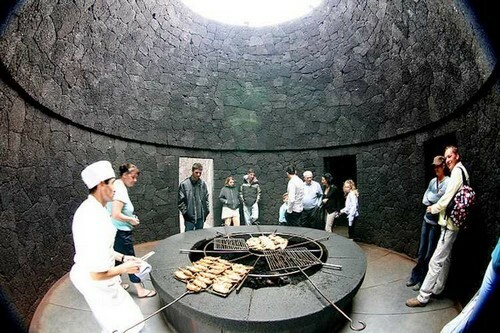 In order to withstand the heat of the volcano a non-conventional cooking system was designed by the local architects Eduardo Caceres and Jesus Soto and built in the 1970s. They used nine layers of volcanic basalt rock to form the grill. “The heat emanates from the volcano 24 hours a day, 365 days a year, reaching between 450 to 500 degrees Celsius," El Diablo's manager, Julio Padron, told ABC that scientists and volcanologists were consulted to check the unusual food cooking method was safe. It’s a geothermal anomaly, because of the unusual temperatures on the surface that come from underground, as reported by Daily Mail.